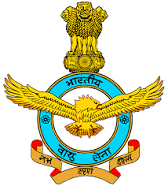 Indian Air Force - IAF published an official notification for Recruitment of unmarried outstanding sportsmen (only Male Indian Citizens) for selection as Airmen in Group 'Y' trades in Sports Quota posts. Eligible candidates can apply for this recruitment. You can view more details about this recruitment including No. of posts, name of post, Educational qualification, Age limit, Selection process, How to apply etc... You can also view official notification and other important facts about this recruitment e.g. Important links and Important dates. Educational qualification: Passed 10+2 or Equivalent examination in stream / subjects approved by Central / State Boards of education. Board recognized / affiliated by Counsel boards for school education (COBSE) wili only be permitted. Sports Discipline: Athletics, Basketball, Boxing, Cross Country, Cricket, Cycling, Football, Gymnastics, Hockey, Handball, Kabaddi, Lawn Tennis, Shooting, Swimming, Volleyball, Water Polo, Wrestling, Wrestling and Golf. Age limit: Candidates should be born between 28 Dec 1996 and 27 Dec 2000 (both days inclusive). Upper age limit on date of enrollment is 21 years. Individual should have represented the country in Junior/Senior International meets in any of the above mentioned sports discipline. The current achievement would be given preference during selection trials. Individual should have attained the standard of fifth place in the Junior/Senior National Championship or Inter University Championship in above mentioned sports discipline. The current achievement would be given preference during selection trials. In team events, the individual should have represented state in Junior/Senior National Championship and National School Tournament conducted by School Games Federation of India (SGFI) in above mentioned sports discipline. The current achievement would be given preference during selection trials. Health: Candidates should be free from Medical or Surgical deformity. He should be free from all communicable diseases and skin ailments. Candidates must be physically and mentally FIT to perform duty in any part of the world, in any climate and terrain. The candidates are advised to get wax removed from their ears and tartar and stains removed from their teeth before appearing for selection trials. Last Date for Submission of Applications: 21 days from the date of publication of Advertisement.